Your health history is private data. If anyone wants to know your conditions, or for some reasons find your information useful for a project, they first have to pass through to you. That’s why HIPAA forms were made. They have always been useful in enabling patients to give informed consent or otherwise, depending on the personal decision. Because there are many sample HIPAA forms that you can download and use for free, you don’t really have to spend a lot of time on your computer trying to design a form yourself. 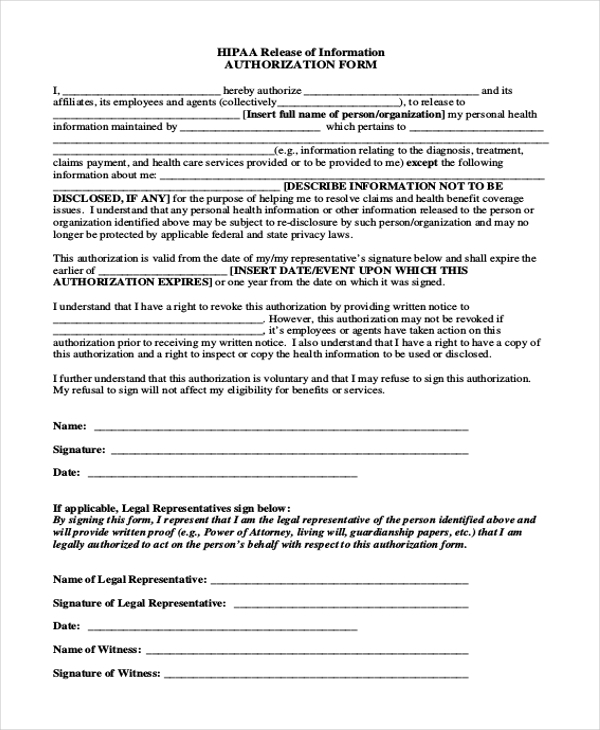 Here is a list of forms that you can download for free. You may also see Authorization Forms. Revealing your medical information is something only you can do. 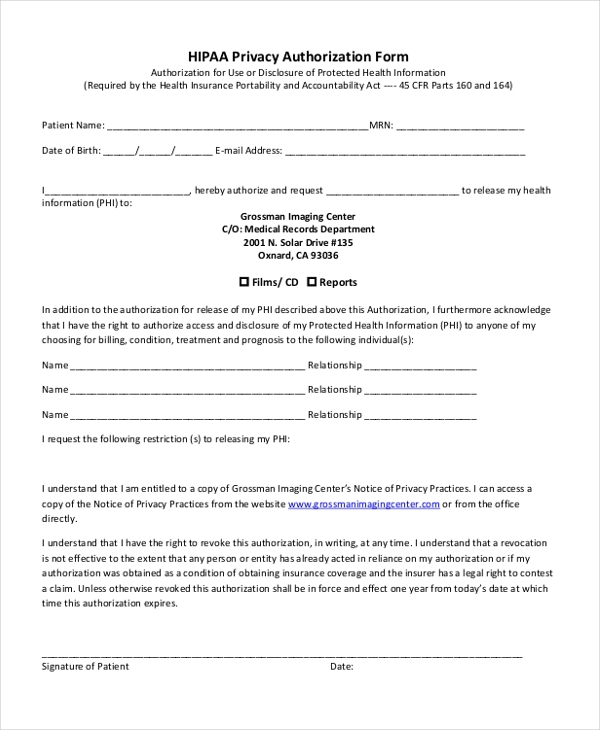 If someone approaches you for informed consent to use your medical history, you can give him or her permission by filling out this form. The complaint form can help you to raise a complaint if you feel that your medical information is likely breached. 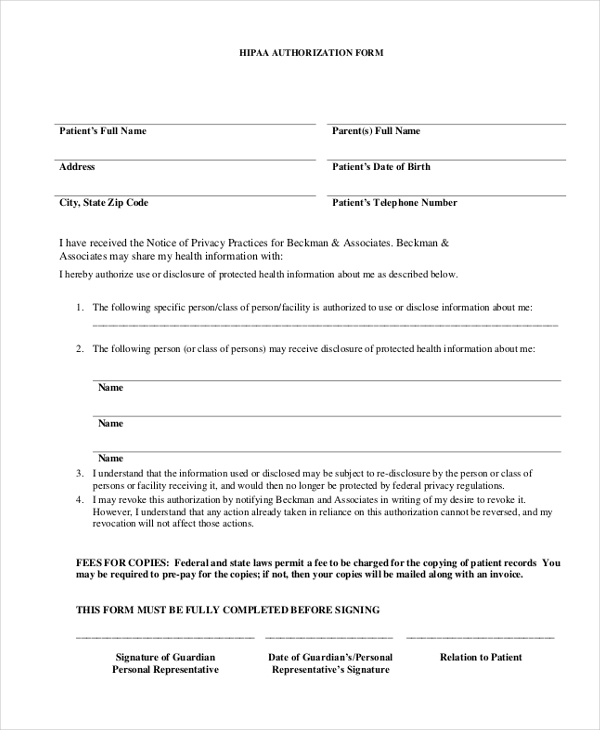 You can also use this form to send a warning message to your doctor not to share your information with anyone. You may also see Travel Authorization Forms. Do you want to share your information with someone you believe in finding the information necessary? 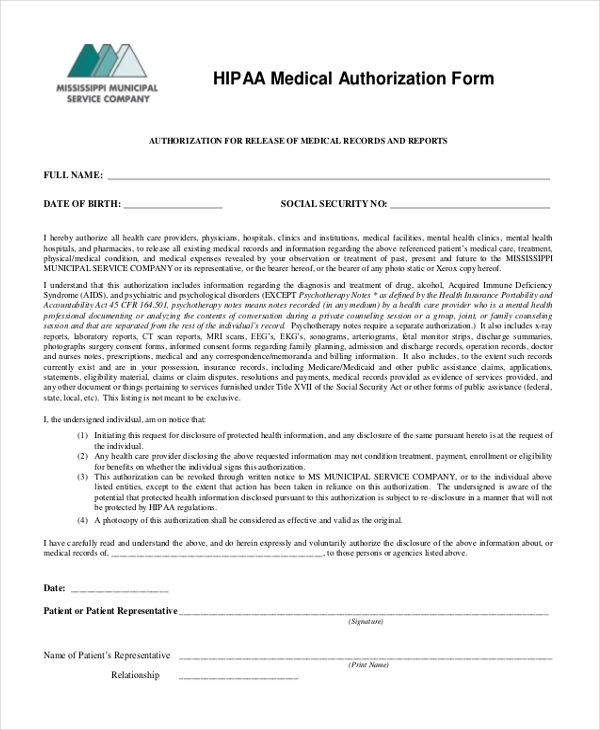 You can use this sample form to authorize the HIPAA to give access to your personal information to the person requesting it. You are the only one who can fill an HIPAA medical authorization form. At the end of the day, you are the only one who has absolute control over your medical history. 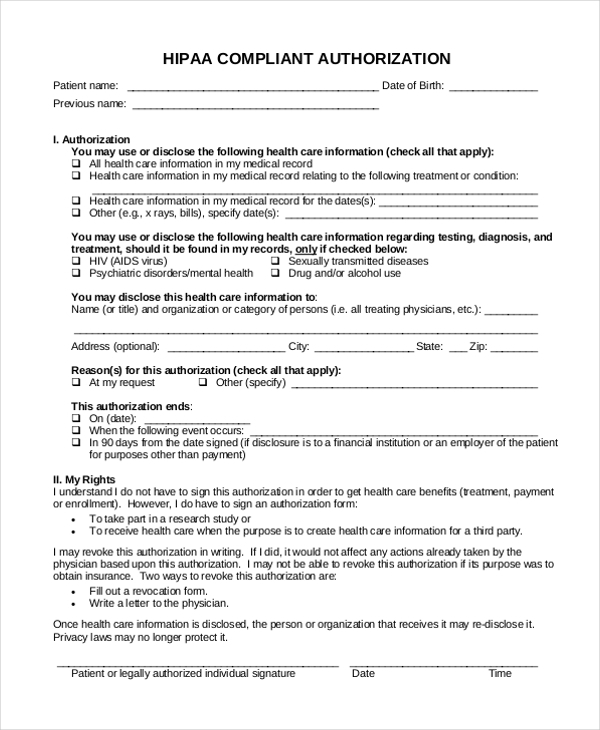 So, if you just give access to your private medical history, this is the best form to use. You can also see Credit Card Authorization Forms. Doctors will never let anyone get access to your private medical information without your knowledge. Even they themselves will seek your permission before using your data. 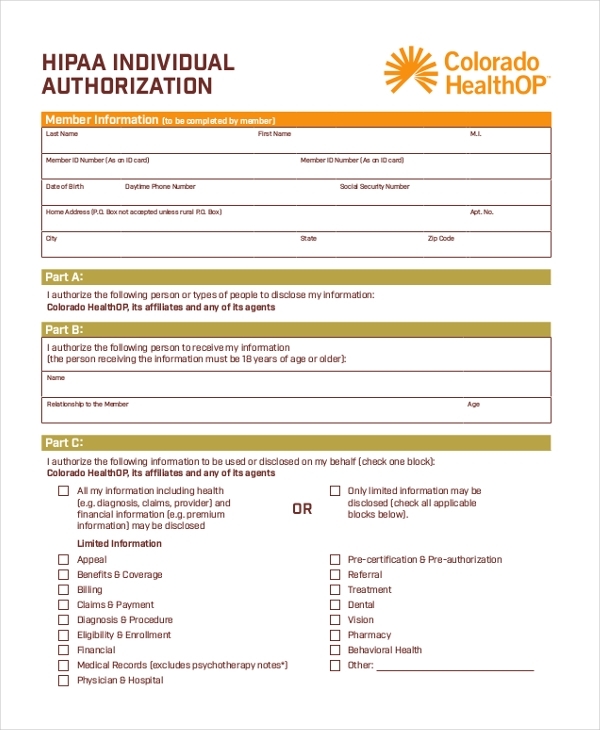 If you are okay with sharing you can use this form to give authorization. HIPAA has a policy, which states that only you can have access to your personal information. That means that if anyone has the desire to access your data, they will have to pass through to you. So, this form can help you give an informed consent. you can also see Employment Authorization Forms. The HIPAA doc files use a document that you can download for free. It is easy to edit and you can customize it if you want. In rare cases, you have to edit the design of the sample file. Let’s face it; creating forms is not an easy task. Everyone looks for an alternative. Luckily, you can download this file for free and use it without paying a dime. The sample file is print ready. HIPAA values your safety and gives respect to the privacy of your information. So before someone can ask for access to your private data, they will have to seek permission from you. You can authorize the release of a medical report by filling out this form. What are the Benefits of HIPAA Authorization? The main goal of HIPAA authorization is to protect the medical information of a patient and to do the best possible to make sure that medical information and personal files get only to the hands of the authorized persons. At the end of the day, you have the assurance that your medical data is safe. 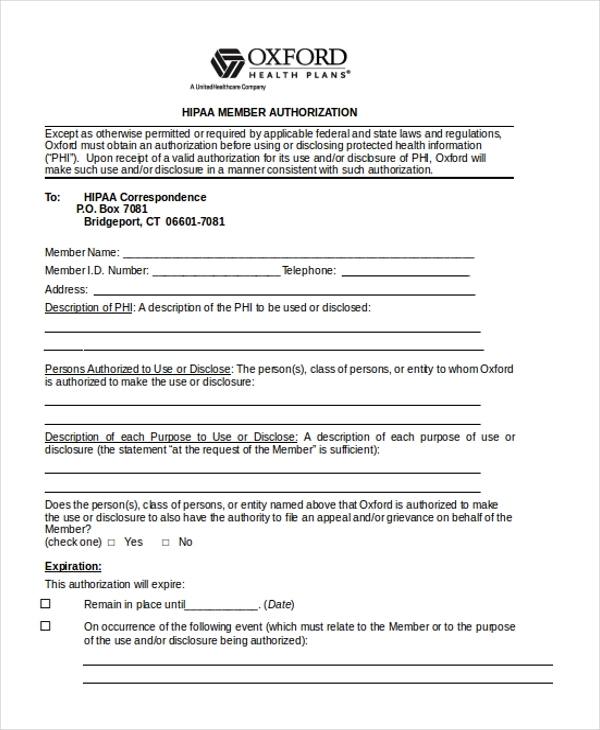 What are the Benefits of HIPAA Authorization Forms? At the heart of it all, HIPAA authorization forms aren’t easy to create. And you are likely to spend a couple of hours trying to get the design done. Luckily, the sample forms eliminate this. Usually, you just have to download the file, print the document, and they use it appropriately. Of course, no customization is required. 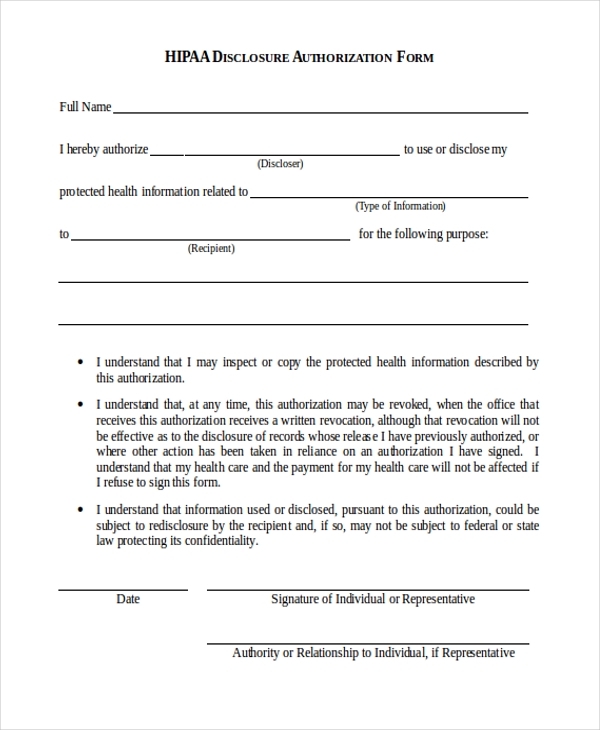 You may also see Medical Authorization Forms. These forms are suitable for two people. The first groups of persons are those who would like to request for access to private medical information. The second group of persons is those that are willing to share their information. At the end of the day, it is always important to seek and give or receive consent before use of private information. Instead of sparing time to create these from yourself, you should consider the option of downloading the free same form templates. These forms are easy to fill out, and of course, you don’t have to customize them at all. At the end of the day, these templates don’t just save time. They can save you money too. You can also see Sample HIPAA Release Forms.